Ever so often there are antiques on the market here in Toronto that resonate with this city. These two items came up recently and they caught our eye as you don’t see these often. If you’re looking for a unique piece to add to your home or office you need to see these. For this trip back in time we’re going to head to the late 1800’s, from a time when Toronto was just making a name for itself on the world stage. Both our items today are on the heavy side and will easily make for a great conversation piece no matter where in the home they may end up. An actual piece of history taken right from the ground dating back to the late 1800’s could be yours. 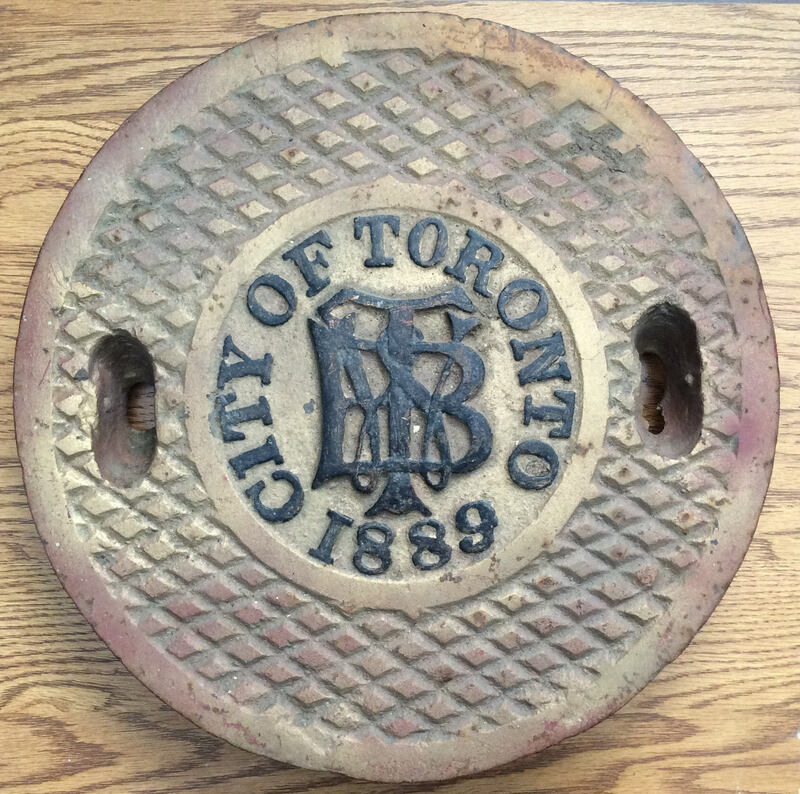 This one specifically is from 1889(as you can see) and is made out of solid cast iron, and weighs a whopping 31 lbs. It looks to be in excellent condition despite its age. You can even find examples of these in the wild still to this day. Here’s another interesting item, again we find ourselves looking at yet another cast iron antique. This bank is the shape of the main building of the old Traders Bank of Canada at the corner of Colbourne & Yonge streets. This antique cast iron bank was given away to the bank’s top customers, most still in private collections as 1500 were ever made. This one is one of the best out there as the condition is top notch. We love seeing unique items like these from across Canada so if you have something to share please contact us. We’re happy to feature these items at no cost to the owner, commercial seller or not.